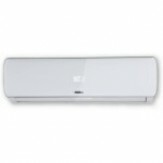 Flipkart is Selling Billion 1.5 Ton 3 Star BEE Rating 2018 Inverter AC - White (AC171, Copper Condenser) Rs.21999 which is worth for Rs.41590 Best and lowest price online..You can follow the below steps to buy this product at their deal price. India is a truly unique country, with sweltering heat in the North and sultry humidity all-year in the coastal areas. Air conditioners for Indians need to be designed keeping in mind this uniqueness, and that’s just what this Billion AC does - it’s an AC that’s not only made in India, but made for India. How to buy Billion 1.5 Ton 3 Star BEE Rating 2018 Inverter AC - White (AC171, Copper Condenser)?